Occupational therapy promotes wellness and independence in all areas of self-care, work and leisure. Our occupational therapy services focus on the client’s physical, cognitive, and emotional strengths and barriers to participate in their everyday activities. Assessments are completed in the home, school, worksite or at our clinic. The goal of our intervention is to identify and implement required supports, education, equipment, and/or technology to increase our client’s safety and independence in personal care, activities of daily living, and employability. Our occupational therapists are skilled in providing intervention across the lifespan, from infants to adults and older adults who have a wide range of conditions, such as: chronic pain, acquired brain injury, spinal cord injury, amputation, orthopedic and/or soft tissue injuries, mental health conditions, and chronic illnesses. Following completion of one of our comprehensive assessments listed below, our therapists work with their clients to determine the best plan of intervention to meet their functional goals. Hospital Discharge Assessment and Coordination: Our occupational therapists meet with clients while still in hospital to assess their personal care needs and develop a discharge plan. Our therapists will coordinate with the funding provider to acquire necessary supports and equipment upon discharge, and follow up with the client in their home to ensure a safe transition. In-Home Assessment and Treatment: Our occupational therapists will meet clients to evaluate their ability to perform the essential tasks of daily living within their home environment. Activities evaluated may include housekeeping, childcare, home maintenance, personal care and leisure – or any other key activity important to our client’s life. Skills such as symptom management for physical, cognitive and psychological injuries will be assessed. The goal is the safe resumption of pre-injury activities with proper aids/devices and education. Attendant Care Assessment: Our occupational therapists can complete this standardized assessment of an injured person’s ability to perform their basic and essential personal care activities and their safety within the home environment as a result of their physical, cognitive, or psychological injuries arising from a motor vehicle collision. 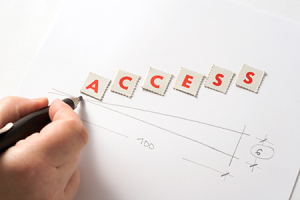 A Form 1 is completed to itemize the activities and associated costs of the individual’s required assistance. Pain Management: Our therapists are aware of the debilitating impact pain can have on an individual’s recovery. Specialized programs are designed to create an awareness of pain, strategies to minimize its’ effects and assist our clients in living a full life. Physical and Cognitive Demands Analysis: Assessing the essential physical and cognitive components of any given job, provides a generic overview of all requirements for any person required to do this work. Our Occupational Therapists assess physical strength, coordination, and cognitive skills ( memory, organization, conflict management and problem solving). This assessment aids our in determining suitability to return to work and development of an objective return to work plan. Worksite Ergonomic Assessment: A Worksite Assessment integrates a comprehensive Physical Demands Analysis (PDA) with an analysis of the individual’s medical and functional restrictions/limitations in relation to their work environment, and the required job processes, methods and equipment. 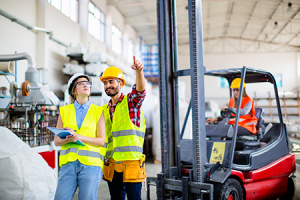 The assessment includes individualized recommendations regarding ergonomics and/or modifications for a safe, gradual return to work or to maintain employment. Return to Work Planning: Liaison between clients and employers to develop an individualized graduated return to work program is critical role of occupational therapy. This may include a structured program designed to increase our client’s tolerance for the physical and cognitive demands associated with a return to work. Through this graduated approach, the client regains the necessary strength and stamina to return to pre-accident employment with appropriate aids/devices or job modifications. Assistive Devices Program (ADP) Assessments for Mobility aids: Our on-staff ADP authorizers can assist clients with mobility needs to choose appropriate devices (e.g., walker, scooter, manual or power wheelchair), and apply for funding through the ADP program, which is provided by the Ontario Ministry of Health. Pediatric Occupational Therapy Services: Injuries sustained in a motor vehicle collision can limit or prevent children from participating in their daily activities, including play, self-care, school and social activities. These activities are important for child development, and enable children to successfully prepare for adult roles. For children who have not been injured in a motor vehicle accident, delays in development of fine motor, visual perception or sensory processing skills can also impact on daily activities. Private occupational therapy services for children can help them return to their daily activities, thereby assisting children to prepare for and achieve their full potential in life roles. A thorough assessment, personalized intervention, family support and consultation services are all components of the occupational therapy programs for children available through Pursuit Health Management. Pediatric Occupational Therapists can address many areas including: sensory and behaviour strategies, fine motor skill development, social skills, organization and memory, education and vocational planning, attendant care needs, and environmental adaptations. Physical and Cognitive Functional Capacity Evaluations (FCE): A Functional Capacity Evaluation is an assessment that identifies an individual’s ability to perform activities safely and determines functional impairments to be resolved or accommodated in relation to activities of daily living or work tolerances. Our assessment will focus on the physical, cognitive, and/or psychosocial effects of an injury or illness, and the specific job or task demands, as required. Progressive Goal Attainment Program® (PGAP®): PGAP® targets psychosocial risk factors for disability across a wide range of injuries and illnesses, including: chronic pain, post-cancer fatigue, chronic health conditions, depression, and psychological injuries in both military and civilian populations. The primary goals of the PGAP® program is to improve quality of life through participation in structured goal setting, guided problem solving, and engagement in valued occupations both in the home, community, and at work. Life Care Planning / Future Care Cost Assessment: Our Occupational Therapists and Canadian Certified Life Care Planners (CCLCP) complete this medical-legal assessment, for individuals who have sustained serious and permanent personal injuries. 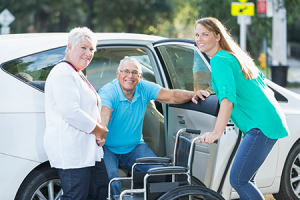 This assessment and report will identify current and future needs for medical and rehabilitation treatments, personal care supports, equipment, and services such as homemaking to assist them in returning to their pre-injury lifestyle. This includes an extensive in-home assessment with the client, review of medical and treatment history, and consultation with their rehabilitation providers to develop a comprehensive picture of the current and anticipated future needs of the client. Assessment of Motor and Process Skills (AMPS): The AMPS is a functional assessment completed by our AMPS certified occupational therapists. This standardized assessment is completed using everyday tasks that our clients would typically perform in their own home or community, such as preparing meals, shopping, or completing housekeeping or tasks. This assessment assists occupational therapists in evaluating both physical and cognitive process skills that are required to complete everyday activities, and how our client’s injury or illness may be impacting their ability to complete their everyday activities. Housing Assessment: At times, as the result of an illness or injury, changes to the home environment may be required to improve safety and independence. Our occupational therapists, working together with skilled local contractors, can assist with determining required changes in the physical home environment to assist our clients in remaining in their home, and develop a plan to meet those needs. This may involve modifications to one area of the home, such as an entrance, bathroom or kitchen, or it may involve a re-design of the entire home, depending on our client’s needs and the structure of the existing residence. Glasgow Outcome Scale – Extended (GOS-E) Assessment: Our therapists are trained in both the standard GOS and GOS-Extended assessments, used for determining benefit eligibility for adults with acquired brain injury as a result of a motor vehicle collision. These assessments are completed in home and community and include an in-home and functional assessment, standardized clinical and functional testing, and medical history review. Interview with a trusted family member/caregiver and consultation with rehabilitation providers are optional, and may provide additional information to assist in a thorough assessment of the client’s abilities and support needs to best determine benefit eligibility.